We are now in February! January was a tough month for being salty. January is traditionally a slow month anyway, but record rain and lots of wind made it tough to get on the water. I was scheduled to go to Colonet on the Pacific Queen on the 20th and the trip ended up getting cancelled due to weather. Since then, I’ve had a few less than exciting surf excursions and that’s about it. Lots of boats are still in the yard doing their annual maintenance and upgrades, but I’m seeing some encouraging things as we turn the corner toward the March 1st rockfish opener. 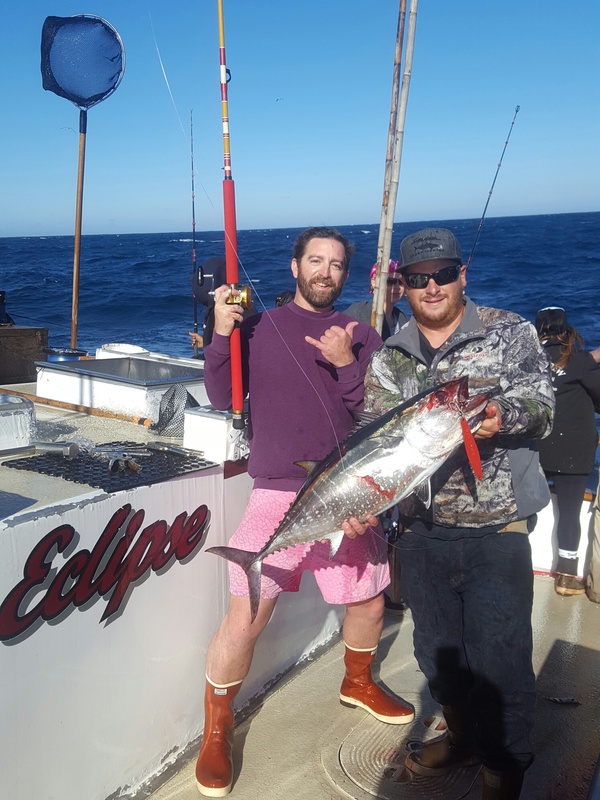 This weekend the Eclipse was one of the boats fishing the Colonet area on a rockfish and yellowtail trip. Capt. Mark Gillette ran the trip. On a normal drift, yo-yo-ing for yellows, angler Gabe Castaneda (pictured above in his lucky pink shorts) connected with a 15-pound bluefin using a JRI Stinger jig in red crab color. The previous weekend, I heard several reports of boats seeing schools of bluefin tuna in the area. I talked to Mark and he told me it was pretty sporty on their trip last weekend. He predicted that if/when the conditions lay down, there will be some legitimate opportunities to get on them. If you are headed down this month (like I am on the 24th), I’d recommend bringing a 40#, mostly mono setup just in case. You can always tip it with lighter fluoro and use it to flyline a bait for the yellows. 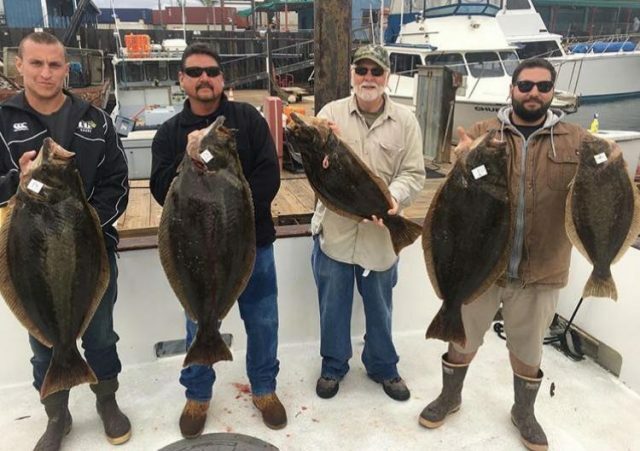 Dana Wharf Sportfishing isn’t the only landing running a halibut derby right now. Long Beach Sportfishing has resurrected their derby that’s been absent since the Native Sun moved from Long Beach to 22nd a couple years back. Capt. 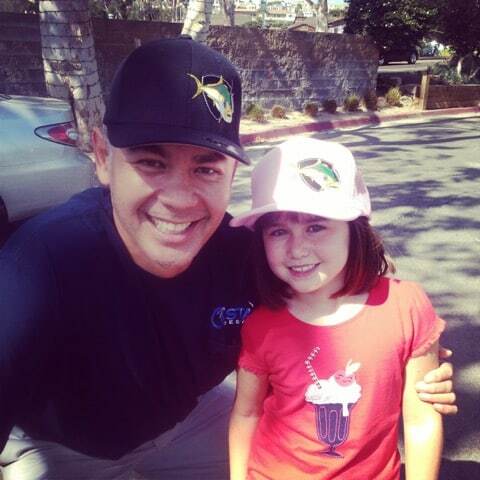 Frank Garibay of the Black Pearl has been finding the fish. Last Sunday they got five! Angler Dave Kiel (2nd from left) took jackpot with a fish just shy of 23-pounds. They’re running these trips Fridays, Saturdays and Sundays, offering a nice option for those of us looking for a fishy ride north of Orange County this month. 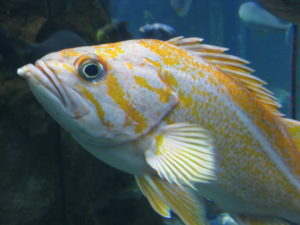 The California Department of Fish and Wildlife announced this week that canary rockfish will be allowed to be taken in the 2017 groudfish regulations. It’s not so much that this previously protected species is so exciting on its own merit. What it does mean though is that spots where they are prevalent will now be viable spots for our sportfishing fleet. I know of one lingcod spot that Capt. Jeremy Maltz of Spitfire Sportfishing will be excited to look at again. Other crewmembers have told me it opens up spots for them as well…definitely something to look forward to once the season reopens March 1st. Hang in there salties, there is a light at the end of the tunnel. Good luck if you get out there.